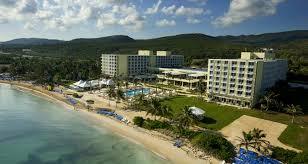 From Montego Bay Airport to Hilton Rose Hall. One Way (Private Transfer) 1 to 3 persons traveling together US$25,00 Total. Each extra persons US$5,00 each. Round Trip (Private Transfer) 1 to 3 persons traveling together US$50,00 Total. Each extra persons US$10,00 each. Why not book a private taxi to the Hilton Rose Hall Resort, with no waiting and just $25.USD takes you straight to your Resort, you cant beat that! We recommend Vip Club Mobay they takes you through customs and immigration skipping the long lines when arriving, see their website link on our home page to the bottom, why not feel like a celebrity on your arrival! We are standing by awaiting your bookings!